The signage in the picture below can be seen on South Coppell Road in Coppell, Texas. For those who may not know, Coppell is a small suburb of Dallas. 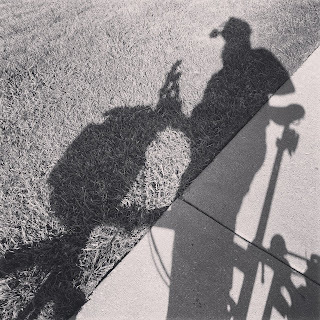 With the recent boom in traffic in Dallas-Fort Worth, bicycling in the thick of traffic has become somewhat tedious. 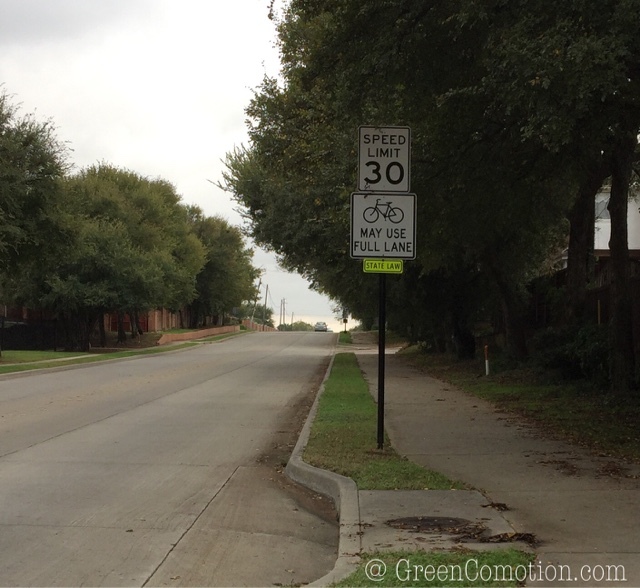 On a recent commute, I saw the signage in the picture and was pleasantly surprised to see it, as I often commute on a bicycle in Coppell and surrounding areas. I also noticed similar signage on not just less busy roads, but also on very busy roads like Sandy Lake and Beltline. Now, this is good news for cyclists. looks like a safe road for biking...we have some very narrow winding roads here that when i see bikers on them i worry for their safety! having trouble getting the comment box to open. finally got this post to open! and as you've been commenting in recent weeks, i tried to check your website via your profile but when i click on greencomotion from your comment, it tells me your profile is not available, so doesn't lead back to a blog or web address or anything. until you linked today, i didn't even know you were posting again! A great idea, but I hope any angry car drivers can read! Some of them hate to share. With pedestrians too!